Kingdom Hearts is a series of crossover action role-playing games owned by Disney Interactive Studios and developed and published by Square Enix (originally by Square). It is the result of a collaboration between Square and Disney Interactive Studios and is under the direction of Tetsuya Nomura, a longtime Square character designer. Kingdom Hearts is a crossover of various Disney settings based in a universe made specifically for the series. In addition, it has an ensemble voice cast which includes many of the Disney characters' official voice actors. Characters from Square Enix's Final Fantasy series make appearances and interact with the player and Disney characters. The series centers around the main character, Sora's, search for his friends and his encounters with Disney and Final Fantasy characters on their worlds. 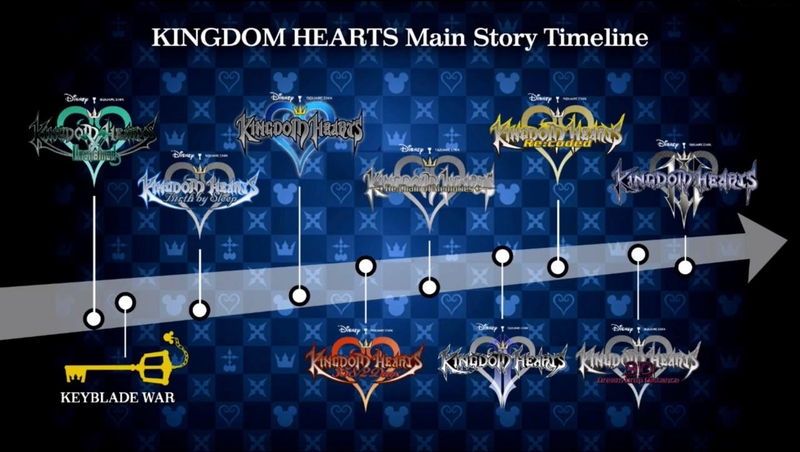 Of these, five of them comprise the main games: Kingdom Hearts, Kingdom Hearts II, Kingdom Hearts: Birth by Sleep, Kingdom Hearts: Dream Drop Distance, and the upcoming Kingdom Hearts III. Main games have new worlds and progress the overall plot of the series forward. The other games can be considered side games: Kingdom Hearts: Chain of Memories, Kingdom Hearts: coded, Kingdom Hearts 358/2 days, Kingdom Hearts 0.2 Birth by Sleep -A fragmentary passage-, and the currently ongoing Kingdom Hearts χ. Side games serve to clarify or otherwise expound on the other games in the series. Kingdom Hearts tends to have canonically remakes of its games called "Re:" or Final Mix, with the latest version of the game being the one to be references in later games in the series. "Re:" games have drastically changed gameplay from the original version, for example Chain of Memories went from a sprite based game on Game Boy Advance to a fully 3D game on PS2. "Final Mix" games play and look similar to the original version but expand story details and have other extras. Kingdom Hearts χ has been released in four separate formats. The first release was Kingdom Hearts χ[chi], a Japan exclusive web browser game that ran from 2013-2016. It was later remade into Kingdom Hearts Unchained χ, a mobile game that changed the gameplay significantly and came to the international audience. Kingdom Hearts Unchained χ eventually was upgraded to Union χ and with it brought multiplayer and a pet system. There was also a film bundled with Kingdom Hearts HD 2.8 Final Chapter Prologue that showed the actions of the mysterious Foretellers during the events of the first game. While it should be considered a spin off due to the lack of original works, the χ prequel series has added lots of new information about the Keyblade War, a significant event in the series. 1.5 and 2.5 were originally released on PS3 and were later re-released on PS4. 2.8 has only been released on PS4. There are also a variety of music albums including piano collections and original game soundtracks. If you want to catch up or recap, the Everglow timeline is the best way. Aqua learns time does not flow in the Realm of Darkness by exploring the remnants of Castle of Dreams. In the remains of Dwarf Woodlands, she defeats the Phantom Aqua, a ghostly copy of herself. Aqua chases illusory versions of Terra and Ventus through the ruins of Enchanted Dominion, and she learns Xehanort is trying to find the Chamber of Waking as she is pulled deeper into the darkness. Aqua is found by King Mickey, and the two Keyblade Masters team up to help Sora and Riku close the Door to Darkness so they can save the worlds from the Heartless. When the Demon Tide attempts to attack Riku, Aqua sacrifices herself to keep it at bay. Plunged even further into the darkness, Aqua vows to help anyone else she encounters there. She watches as the worlds are restored and finds Ansem the Wise at the Dark Margin. Having learned the role he unknowingly played in sealing Aqua's fate, Riku demands to know why King Mickey kept it secret. Yen Sid explains this was done to prevent Sora from attempting to rescue Aqua, and he reveals a safe means of entering the Realm of Darkness has been found. Riku and Mickey receive new garments made by Flora, Fauna, and Merryweather, and they depart to find Aqua and return her to the Realm of Light. Meanwhile, Kairi is instructed to train under the wizard Merlin so she can become a Keyblade wielder. I still haven't beaten a few of the titles that I want to leading up to KHIII. Namely Dream Drop Distance and 0.2, but I would also like to replay II. Still didn't buy any of the collections, and that would be a fantastic deal, I'd definitely jump in. It's been so long since I played this series, at this point it's a far-off memory that's like a scattered dream. Been hyped for KH3 for a long time now. Feels like forever. Shame I don't have a PS4. Time to bring out the sea-salt ice cream to commemorate new beginnings. Do we have/get an extra KHUx thread or will we spam this one with our bad pulls? I'm not playing through any entries right now but I'm hyped for Kingdom Hearts III after catching up with the series over the past few years and playing 2.8 over the summer. Long time fan, checking in. There is no way you are taking our hearts! The wait for KH3 continues in a new ERA. Yes! The KH Community thread is back. I played through the entirety of 2.8 and 1.5+2.5 this year. Just finally finished up with Birth By Sleep last weekend. Playing all the games really highlighted how bad the bosses in BBS are. Too many of them seemed entirely designed around I-frame abuse. Pretty damn jarring going from a nearly 100% complete Critical Run of KH2 to that. Still loved a lot of the bosses tonally though. All of the final bosses + the final episode/secret episode are pretty hype. Glad that we've escaped from the world of darkness. Oh my, the Kingdom Hearts community is also back. I'm so happy! Dammit, y'all are going to force me to make it, huh? This is how the Keyblade War starts.. I just finished playing through every single game in the series for the first time, with a friend who is a long-time fan, over a year. It was like finding religion. Still working my way through all titles (replay of 1 and 2, first time playing the others) in anticipation for KH3. Next up is DDD. Even after all the warnings, I still enjoyed re:CoM. Great to see everyone coming over. I hope the Mega XL bundle is real. I have no use for purchasing it, but if it helps some of the drive-by confusion with the series ("what do I need to buy? ", "What's in each collection?" etc.) then I'm all for it. Hey, malyse . How can 0.2 Birth by Sleep be considered a side game? It was literally KH3's prologue inside of KH3, but it was taken out of KH3 due to the increase of content in KH3. Nomura wanted to prevent another KH2 prologue, which would be 2 hours long before you actually start the game. That's why KH3 is beginning immediately. Also, to give fans a taste of KH3 It's more main than CoM, Day's, and Coded. 0.2 is way more filler or "side game" than CoM when it comes to plot importance. Basically nothing happens. How was the performance for you people? It was pretty janky on my end. Would turning off Boost Mode improve frame rate stability? The final battle, that was a visual feast. Graphics were great. Wouldn’t mind the older KHs be remade with these graphics in the future. PS can anyone please take a 4k pic of the opening of Aqua, Terra, and Ven in the CG opening holding hands in the sky? I wanna use it as my PS4 wallpaper. Thanks to anyone who does! 0.2 has pretty bad framepacing on normal PS4 (and very unstable framerate on Pro). Definately not technically good game but I will admit the final battle was a visual feast. Turning off Boost Mode wouldn't do anything since the game will always run on the same mode due to Pro support. Still have to play BBS. Is the game hard compared to KH1 and KH2? As someone that played BBS for the first time this year, I thought it was quite more difficult than both (in normal mode). My main issue was a few bosses and the fact that it's much harder to stagger them than in KH1 or 2. I'd definitely not jump in at Proud mode if you're considering! I wasn't even considering this since I usually don't play highest difficulty when I play for the first time. Thank you for advice! Do we have a thread for χ? This platinum run for Dream Drop Distance is taking soooo long. Luckily Balloonra makes life wonderful and quick. Finally got 1.5+2.5 so time for a complete run through! Streaming on twitch at twitch.tv/cjosh1354 if anyone's ever interested! I still wish 0.2 BBS would get some kind of 2.0 patch including technical improvements from the work done on KH3 and including more substantial rewards for unlocking outfit pieces (like, if each of those little 'sidequests' also unlocked a passive ability from the original BBS that'd be absolutely great and I'd actually play it as a completionist). 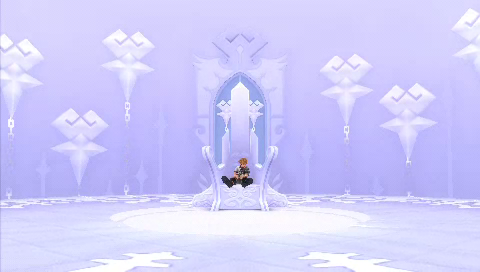 I'm home, a kingdom hearts community. It's my favorite game series of all time! Since the beginning I played every game. So hyped for next year! I absolutely love the Symphony of Sorcery world. I'm still a bit disappointed that the Hunchback world (the starting world outside of Traverse Town) was the worst one of them all.. it just seemed so neutered compared to the movie and boring in comparison to the other worlds. Which is a shame because I've always loved both Hunchback the book and movie. Kinda felt like the whole game picks itself up rather nicely once you beat the first two worlds. I've bought KH 1.5+2.5 HD Remix. What difficulty would you recommend to a person who has finished KH 2 and BBS on normal difficulty? Should I still go for normal or is Proud mode doable or even more preferred by the KH community? KH 1 isn't really balanced all that well on proud mode, so I would go for normal. If you are replaying KH 2, proud mode is just the right amount of challenge overall, though some parts of the prologue are kind of tough due to your limited options. Whatever you do, don't play BBS on critical. Everything takes forever. I haven't played CoM in a while so I'm don't really remember how the difficulty was.